Hire Me. Photo courtesy of Shutterstock. Unemployment can really kill the high spirits of even some of the most optimistic people. Expenses keep adding up, people won’t stop asking you about your progress, and your utter boredom is enough to keep reminding you again and again about how you’re just too “free” to be normal. Life’s tough, but that shouldn’t keep you from going on and realizing your aspirations. Remember, everyone goes through this phase at some point of their life and it sure isn’t easy for them either. 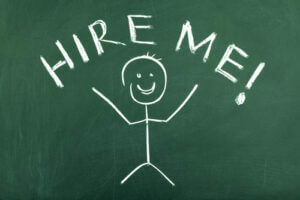 Now, you might be thinking of the list of people who immediately got a job without much hassle. However, the first opportunity you leap into isn’t always the best. Do you feel like you have not succeeded in your job search? The following post helps you understand why you can find success in failure during your search. Failure is inevitable in a job search. The likelihood that you will find the perfect job and that you will get that job in your first search is next to none. This means that you will have to search again and again. You will fail. You will fail at finding a job. You will fail at landing a job. But that is not a bad thing. Failure is your greatest tool and I am going to help you understand why. Is Facebook Good For Job Searches? If Facebook has provided you with a favorable online image personally, you might think it can benefit you professionally too. However, is it right for your job search? Learn more in the following post. The short answer is, of course you can use Facebook for job searches. The bigger question is, will it be effective? I would not discourage it, however, there are some strategies that are more effective than others, so I would caution you to be careful about being too aggressive. If you are a LinkedIn user who is looking for a job, keeping your profile up-to-date is a key factor. The following post explains why. One of the most important things you can do when you start looking for a new job is ensure that your LinkedIn profile is up-to-date. Many people find jobs through LinkedIn, especially executives looking for their next executive-level candidate. If that describes you, then you need to spend some time developing your LinkedIn profile.